Around 12,000 years ago, in the icy forests of Alaska patrols of super-wolves could be found roaming, striking fear into the hearts of all who encountered them. They were much larger and much stronger than the modern Grey wolf, and sporting considerably larger teeth and far more powerful jaws, they were killing machines of very large prey. 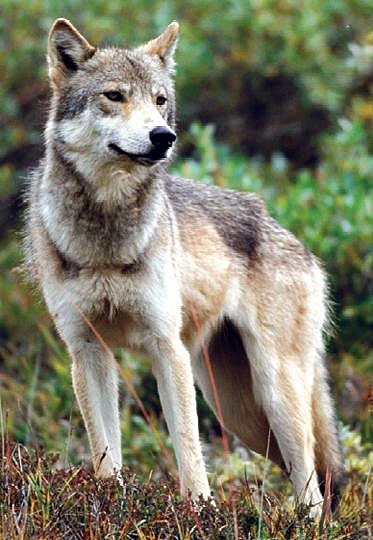 This now extinct species, “Beringian wolves”, was discovered by Jennifer Leonard and a group of colleagues from the University of California, Los Angeles. Whilst studying the permafrost-frozen remains of ancient time Grey wolves in Eastern Beringia, an area including Alaska and Northwest Canada, they were able to analyse DNA from the "super-wolf" bones, and also to study its genetic make-up. They proved to be genetically quite different from the wolves we know today. On analysis of their DNA it became very obvious that modern-day wolves are not descendants of these extinct prehistoric "super wolves." They were shown to share a common ancestor, but were also found to be on two separate and diverging branches on the evolutionary tree. Analysis of the genes found by Jennifer Leonard showed the heads of the Beringian wolves, were shorter and broader and possessing of deeper jaws than was considered usual. They also had very large teeth designed for shaving meat – of the nature that characterise dogs, cats and other carnivores specific to that group. These hyper carnivores, had skulls adapted totally for the purpose of meat consumption and the use of a bite of such tremendous force that it could kill prey vastly larger than itself, possibly even the Great Mammoths of the time. Their powerful jaws allowed the Beringian wolves to quickly wolf down carcasses, bones and everything else, fast enough to avoid the need to fend off competition. This would have included a fierce variety of dangerous and powerful hunters, including the likes of the American lion and the Short-faced bear, the largest bear ever known. 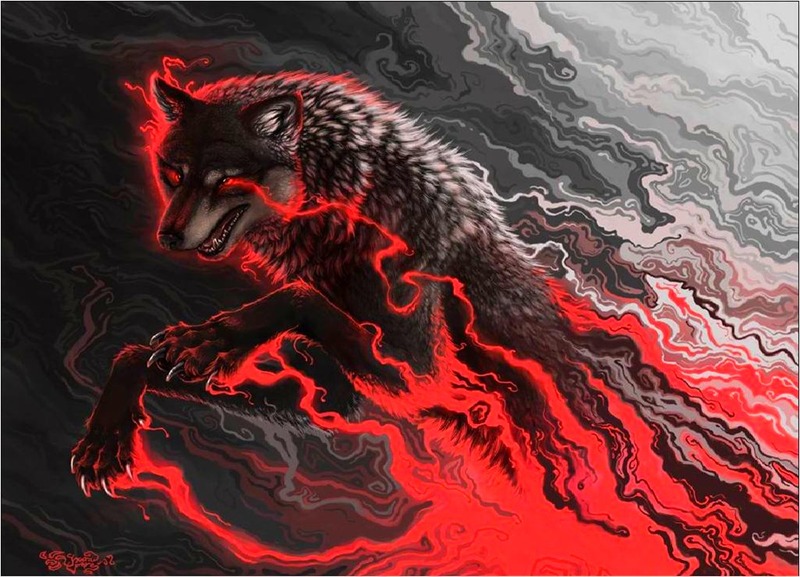 It is possible that the ancestors of today’s Grey wolf found their way into the New World by crossing the Bering land bridge linking Asia to Alaska. They were medium-sized hunters, between coyote and the Dire wolf. With the extinction of the larger Dire wolves, the Grey wolf split into two distinct groups. 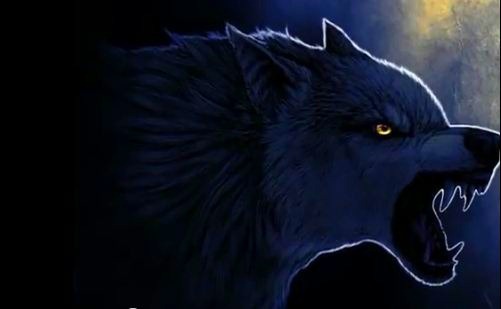 One filled the evolutionary gap by developing a far stronger skull and fangs, (“super wolves”) thereby filling the gap the larger extinct predators (Dire wolves) left, whilst the second group evolved into a faster, more athletic breed (ancestors of today’s wolves). Unfortunately, as is the way in evolution the first group of wolves with their specialist requirements for very large prey became its pitfall. When such prey died out during the last Ice Age, so too did the large bone-crushing "super" Grey wolf. Today this creature is lost to us forever. Unless in some future time mankind figures out a way to re-create them by way of cloning… Not necessarily a wise move!! Merhaba benim güzel buz arkadaşım..
size güzel bir gece ve. ve ben de seni olacağını umuyorum? Bugün iyi bir gün … kızgın güneş oldu! Yağmur yok! okay…..my comment disappeared. You could have knocked me down with a feather when you mentioned the Dire wolf. Until I read it here I thought they only existed in Game of Thrones. Right…so your comment has just gone extinct then RM! Not to worry…it was probably devoured by hungry ‘livestock’ lol 😉 Never heard of the Game of Thrones 🙂 Better go google it! they have been on Earth since the Dinosaurs, as have many creatures of the oceans. In ref’ to mythology ones I tripped over the original ki lin blog I thought I’d lost when the laptop died on me, so I hope to update that post very shortly..don’t worry lol it will still be a teeny weeny little post! Hej Wolfie…Tack för titten alltid lika roligt när du springer förbí min sida stannar och pratar lite och springer vidare..Hoppas du inte behöver nvända strumpor dör ja dom försvinner hela tiden..
Ps..Härliga arga vargbilder min vän jag gillar dom mycket…. Det är en av mina stora nöjena köra mina Wolfie tassar genom din blogg Nicki! Jag försöker fortfarande att påminna dem om att gå igenom bloggare också ibland! Som ni vet jag inte vara alltför framgångsrik;) Ja … strumporna är en mardröm … Jag tvättar dem … de försvinner! Jag köper nya … Jag måste tvätta dem eller kommer de att lukta ost;) 🙂 Men gissa vad? De försvinner också!! Arga vargar … 😉 Ja… naturligtvis ser jag aldrig som att … !! jag alltid leende oskyldigt;) Inte riktigt jag blottar mina onda Wolfie huggtänder när jag visar alla mina tänder och morra ilsket! Aldrig! Wünsche dir ein wunderschönes weekend und schieke dir einen lieben Gruss Gislinde. Ich hoffe, die Sonne lacht und wärmt Sie Ihren Geist, wie es nach unten strahlt einen an.